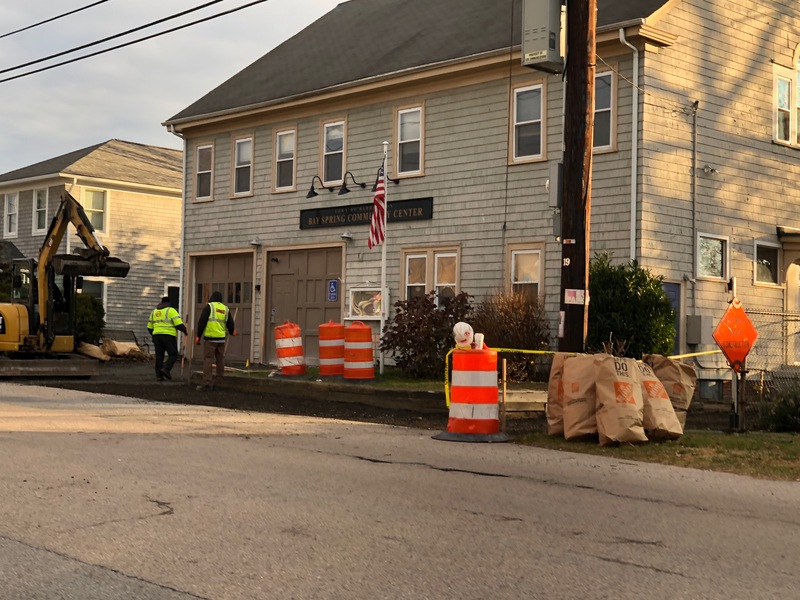 Thanks to the Town of Barrington and the Department of Public Works, the BSCC’s entrance received a facelift with all new paving and grading. As a result of this overhaul, access to the handicapped entrance is now smooth and safe, the sidewalk is graded properly so we no long have “Lake Bay Spring” blocking the side entrance every time it rains, and the overall look is substantially improved. Two thumbs up (and feet down) for the Town’s repair effort!